Despite plenty of research and clinical studies related to children and adolescents with Asperger’s syndrome, psychologists have only recently begun to appreciate the complex challenges faced by adults who were not identified in childhood. This article aims to increase the knowledge base of psychologists in the mainstream mental health community, who may have limited or no experience working with adults with autism spectrum disorders. How can social skill building interventions enhance the relationships and functioning of such adults. During the past several years, we have witnessed an extraordinary increase in the recognition and use of the clinical term ‘Asperger’s syndrome’. First described by the Viennese physician Hans Asperger over a half-century ago (Asperger, 1991), few psychologists were aware of this autism-related condition until Lorna Wing (1981) brought it to the attention of the clinical community. As a continuous and lifelong pervasive developmental disorder, Asperger’s has significant clinical implications for the individual’s personal, social and occupational functioning. Yet this lifelong aspect of Asperger’s has been neglected. Although there has been a dramatic increase in work related to children and adolescents, adults who were not identified in childhood are presently an underserved population (Baron-Cohen, 2007; Howlin, 2000; Tantam, 2000). Rather than outgrowing their symptoms, children with Asperger’s have now become adults with Asperger’s. This article provides an overview of social skill building interventions designed to enhance social relationships, perspective taking and occupational functioning, thereby reducing the negative effects of comorbid mental health problems, such as anxiety and depression. Asperger’s is classified as a pervasive developmental disorder in the Diagnostic and Statistical Manual of Mental Disorders (DSM-IV) and the International Classification of Diseases (ICD-10). We have no single set of clinical criteria for diagnosing adults. The diagnostic criteria were principally developed to identify the disorder in children, with no adjustments to the criteria for the diagnosis of adults. Although there is some debate on how to conceptualise the nature of the disorder, Asperger’s is widely believed to be an early-onset social disability situated on the higher-functioning end of the autism spectrum (Attwood, 2006). The essential diagnostic features of Asperger’s syndrome are severe and sustained impairments in social skills and restricted, repetitive patterns of behaviour, interests or activities in the presence of generally age-appropriate language acquisition and cognitive functioning (Volkmar & Klin, 2000). Of these domains, it is the deficit in social relatedness or perspective taking (theory-of-mind skills) that is the most prominent and defining feature of the condition (Attwood, 2006; Klin et al., 2005). Individuals with Asperger’s have difficulty understanding the perspectives of others, inferring and predicting the intentions of others, evaluating other peoples’ interests and beliefs, and conceptualising the thoughts and feelings of others. Indeed, It is this so-called ‘mindblindness’ that appears to explain the difficulties in social reasoning and adaptive behaviour experienced by persons with Asperger’s (Baron-Cohen, 1995; Klin et al., 2005). The unwritten rules also include body language and idioms, metaphors or slang – phrases and meanings that we pick up or learn through observation or subtle cues. Individuals with Asperger’s tend to interpret language literally and may be perplexed by the common everyday expressions used by the typical adult. Adults with Asperger’s often need to feel comfortable in asking another individual – perhaps a clinician, job coach, mentor or close trusted friend – to clarify the meanings of words, phrases and challenging social situations. The mastery of the unstated rules can present an especially difficult problem in the workplace. Many capable adults with Asperger’s fail to find or keep a job, owing to their impaired social skills. In fact, underemployment is one of the most persistent problems faced by adults with Asperger’s. The individual might not understand what is meant by the ‘customer is always right’, how to react to a disagreement with a supervisor, or express anger towards a colleague. The case vignette (see box)?illustrates some of the problems encountered by adults with Asperger’s in the workplace. Ben’s case illustrates many of the symptoms of Asperger’s and how social impairment is manifest in daily life and on the job. Inflexible adherence to routines and a lack of problem-solving can trigger a maladaptive emotional response when faced with an unexpected change or transition. 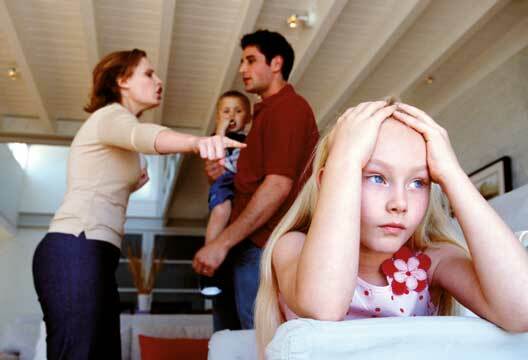 In fact, problems with anger management are a commonly associated feature of Asperger’s. The individual’s delayed or impaired perspective-taking abilities can be seen in the tendency to be rigid and uncompromising; an aversion to being interrupted by others (compulsion for completion); inflexible adherence to one’s own perspective; a sense of paranoia (difficulty understanding the intentions of others); noncompliance with demands; and an inattentiveness to others’ interests (Attwood, 2006). The person’s behaviour may often be described as disrespectful, inconsiderate, rude and threatening. This lack of perspective-taking and problems with regulating the intensity of emotion leaves the adult with Asperger’s highly vulnerable to feelings of social isolation and depressed mood. Although there are no definitive intervention guidelines and no single treatment that can dramatically enhance long-term outcomes, strategies exist that can be used to address the core deficits of adults with Asperger’s. I consider these core deficits as ‘skill deficits’ because they have not been learned instinctively as with the typical individual. While psychotherapy and counselling are helpful, the overarching goal of intervention planning should be the development of social and communicative competency through direct teaching, modelling, coaching and role-playing activities in real-world situations. or her understand the diagnosis and how Asperger’s affects personal development, behaviour, relationships and view of the world. Workbook topics focus on important aspects of everyday life, such as communication, understanding feelings and friendships, and written activities to enhance self-discovery, positive action, change and shift in perspective. Autobiographical accounts of Asperger’s (see ‘Resources’) can also be helpful in promoting a greater self-understanding and positive self-schema (Gaus, 2007). A personal perspective can be valuable in explaining the nature of Asperger’s and help realise a positive reaction to the diagnosis. Modular skill-based training programmes can be used to provide direct instruction in social skills. Programs such as S.O.S. : Social Skills in Our Schools (Dunn, 2006) can be adapted for use with youth and adults. This structured programme includes specific individual and group lessons that focus on the teaching of social rules and perspective-taking skills. Individual lessons address rules for interrupting appropriately, greeting, eye contact and body position, listening, talking about topics and initiating a conversation. Activities also emphasise the appropriate interpretation and self-monitoring of body language (e.g. eye contact, gaze, facial expressions and gestures), monitoring of speech (e.g. volume of voice, rhythm and rate of speech); beginning and maintaining interactions; modelling and maintaining friendships. Social stories are a popular method for teaching individuals with autism spectrum disorders about social behaviour (Gray, 1998). A social story is a brief narrative used to explain social rules and concepts. The description may include where and why a specific situation occurs, how others feel and react, or what prompts the individual’s feelings and reactions. The story features an introduction that clearly identifies the topic (e.g. friendship, maintaining a conversation, listening), a core section that adds detail and social knowledge, and a conclusion that reinforces the information and any new suggestions. Social stories may be written documents or used with videotapes. They can be used effectively to enhance perspective-taking skills and to introduce the idea of inferring the mental state of others (Gaus, 2007). Computer programs such as Baron-Cohen’s Mind Reading: The Interactive Guide to Emotions (www.jkp.com/mindreading) can be used with adults to help them understand emotions and improve theory-of-mind abilities. This interactive software teaches the individual with Asperger’s syndrome to recognise and understand the thoughts, emotions and intentions of others by demonstrating facial expressions, body language and speech qualities associated with a wide range of emotions (Attwood, 2006). The individual is provided with immediate feedback on how to identify the subtle cues that signal the thoughts and feelings of others. A social skills autopsy is a problem-solving strategy designed to decrease the possibility that a social misunderstanding will reoccur (Myles et al., 2004). The individual actively participates in analysing real-world social interactions to identify the cause-and-effect relationship between his or her behaviour and the positive and negative reactions of others. Specific social problems are discussed after the event and reviewed in sequential form. The clinician helps the individual identify the who, what, when and where of the situation. Several behavioural options are then considered by identifying one or more alternative actions he or she could have taken. Following each option discussed, a consequence is clarified. A plan or strategy is then formulated to carry out the appropriate alternative if the social situation occurs again. The individual may also practise carrying out the plan by visualising the strategy, writing down the plan, talking with a safe person about the plan and role-playing. The core impairments of Asperger’s are not always salient in adults with the condition. It is often the secondary problems related to feelings of social isolation and rejection that bring the person to the clinician for treatment. Chronically frustrated by their social failures and difficulty establishing and maintaining friendships, many adults with Asperger’s suffer from other mental health problems that require treatment (Gaus, 2007; Klin et al., 2005). While interventions can address the individual’s core social problems, cognitive behaviour therapy (CBT) can be effective for treating comorbid mental health problems, such as anxiety and depression (Attwood, 2006; Hare, 1997; Sofronoff et al., 2005). CBT addresses the rigid, demanding and absolute beliefs frequently seen in individuals with Asperger’s, and may be effective in ameliorating mood disorders. Although psychopharmacology cannot yet target the core symptomatology of Asperger’s, a medication regimen might also be useful for treating coexisting anxiety and depression (Klin et al., 2005; Tantam, 2000). There is a large and heterogeneous group of individuals who grew up with Asperger’s, but did not receive appropriate interventions and support. Although little is known about the prognosis in adults with Asperger’s syndrome, it does seem apparent that outcome depends to a large extent on the level of support provided in adulthood (Gaus, 2007; Howlin, 2000). As the knowledge and awareness of Asperger’s continues to grow, we should expect to see an increase in the number of adults seeking treatment to address the core deficits and secondary problems associated with the condition (Baron-Cohen, 2007). This includes the groups of more successful individuals in the general population who present with subclinical features of autism spectrum disorders but whose social problems and subtle theory-of-mind challenges impact their personal and social lives (Klin et al., 2005). The late diagnosis and treatment in adulthood can lead to greater self-understanding, self-advocacy and improved decision-making in lifespan activities such as employment and personal relationships (Attwood, 2006; Howlin, 2000; Tantam, 2000). Ben, a single 32-year-old man, was referred by his brother, who was concerned with Ben’s depressed mood over losing his job at a large engineering firm. Although Ben holds a master’s degree, family members often complained that Ben appeared to have very little ‘common sense’. His brother reported that Ben always seemed to be a ‘solitary’, ‘somewhat peculiar’, and ‘inflexible’ person with a long history of interpersonal conflict with peers, co-workers and employers. Ben’s problems usually resulted from his confrontational and rigid approach to others and difficulty regulating the intensity of his emotions. Ben also seemed to have little insight into how his emotional outbursts and anger control issues affected others in his life. While able to succeed at university and live alone unassisted, he had been asked to resign from several jobs over the past five years. Ben’s most recent problem stemmed from a change in work schedule that required him to undertake a new project. He became highly distressed and responded with a severe outburst of anger in which he accused his supervisor of sabotaging his work. Ben subsequently refused to accept the new assignment until the current project was completed. Despite Ben’s competent skills and training, he was asked to resign from his position due to insubordinate and threatening behaviour.